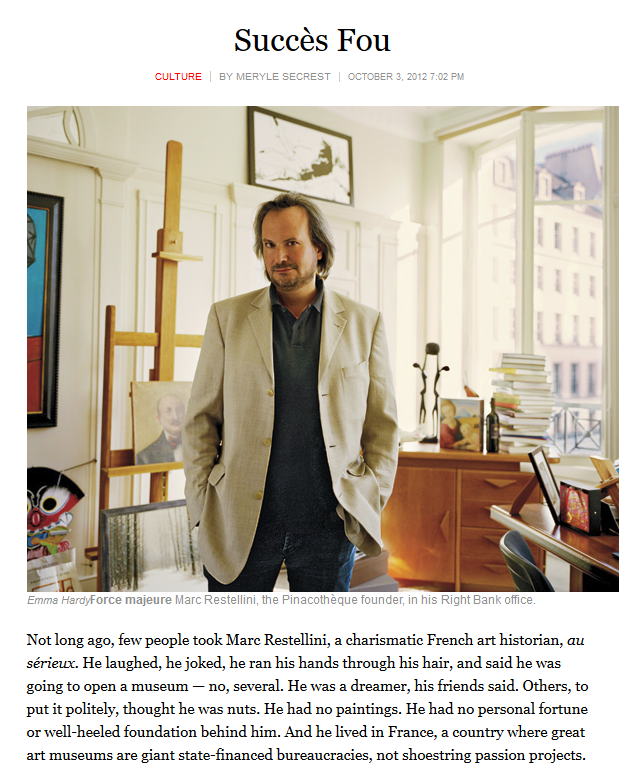 Not long ago, few people took Marc Restellini, a charismatic French art historian, au sérieux. He laughed, he joked, he ran his hands through his hair, and said he was going to open a museum — no, several. He was a dreamer, his friends said. Others, to put it politely, thought he was nuts. He had no paintings. He had no personal fortune or well-heeled foundation behind him. And he lived in France, a country where great art museums are giant state-financed bureaucracies, not shoestring passion projects.